Yes To Blueberries Brightening Eye Roller contains a light, refreshing serum applied under the eyes and around the orbital bone using circular motions to brighten, refresh, and reduce dark circles. This blend includes Horse Chestnut, a natural botanical that helps improve the appearance of dark circles by stimulating circulation and blood flow, along with Bearberry Extract, an anti-oxidant rich botanical that helps brighten dark circles by inhibiting melanin production. Now whip out this little wand and say buh-bye to pesky dark circles. I loved the feel and smell of the eye roller. They actual serum was a bit hard to get out at first, but it left my eyes refreshed, as if you would put a cucumber on your face before you go to sleep. I would say this product is strictly for people dealing with dark circles under their eyes, or maybe if you didn't get enough sleep the day before. And for $19.99 this is a steal. My favorite product out of the group is the Cucumber Facial Towlettes. 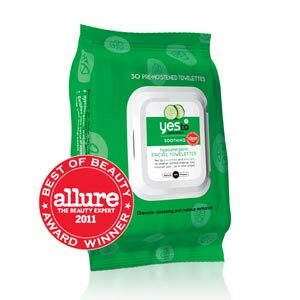 Yes To Cucumbers Hypoallergenic Facial Towelettes gently remove dirt, sweat and makeup (eye makeup too!) without the need to rinse. Whether you're out and about, going for a run, or having a late night, these towelettes make it a snap to refresh on-the-go. Packed with green superfoods these all-natural, biodegradable towelettes naturally exfoliate, detoxify, and rejuvenate all-in-one. Stay gorgeous, and go from zero to clean in seconds I have always been a fan of facial towlettes, the hard part is finding the best bang for your buck. Towlettes can typically be expensive and not worth it if you don't find the right ones for your skin type. The Cucumber Facial Towlettes work for all types of skin including sensitive. I personally like them for taking off my makeup at night time, but of course they can be used at the gym, or whenever you need a refresher for your face. They sell for 30 for $5.99 much more affordable then my favorite wipes, the Ole Henriksens which sell for about 30 bucks for 30 dollars. I would say these are just as great, and do the job just fine. You won't find better facial wipes for less. Yes To Cucumbers Hypoallergenic Moisturizer with SPF-30 is dermatologist tested and formulated with Organic Cucumber to calm rattled skin, as well as Sweet Almond Oil and Aloe to add a healthy glow. A blend of Zinc Oxide and Titanium Dioxide provide a non-ghosting natural sun protection and will add UVA and UVB sun protection to your daily soothing moisturizer! This is the perfect blend for you sensitive skin types that love to have fun in the sun! My mother in law fell in lose with this moisturizer right away. She told me it took a couple days, but after about 2, she saw results. Her face felt more moisturized but not greasy. When it comes to drug store brands it's hard to pick out good skincare. Yes to Carrots gives you a great product at a fraction of the cost of other high end skin care sets. And of course you can't forget the Cucumber Body Lotion. 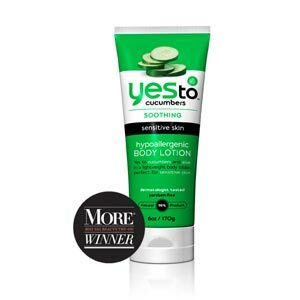 Yes To Cucumbers 'Hypoallergenic' Body Lotion is dermatologist tested and formulated for sensitive skin, and a great solution for those seeking a lighter dermatologist tested level of hydration. Aloe Vera, Cucumbers and Green Tea provide gentle, natural soothing for skin. Jojoba Oil provides a lightweight, easily absorbing level of hydration. It's like a day at the spa in a tube. I carry this with me everywhere! The smell of the fresh cucumber wears off rather quickly, but the moisture stays. If you're looking for a perfumed lotion look elsewhere. If you are looking for something that will do the job and keep your skin looking fresh and soft, this is a great body lotion. Sells for $7.99, great price, great body cream! Yes To Carrots Intense Repair Hand Cream is part of our new Intense Repair collection, formulated specially for extra dry skin and the tough winter months. Yes to Allantoin and Soybeans for intensive moisture and protection of extra dry skin. Yes to Primrose Oil for putting an end to that pesky dryness Similar to the body lotion, this will moisturize your hands perfectly while leaving a slight scent but again this is not a perfumed cream. It is meant to keep your hands soft throughout the day, and you won't need to apply too much to do the job. 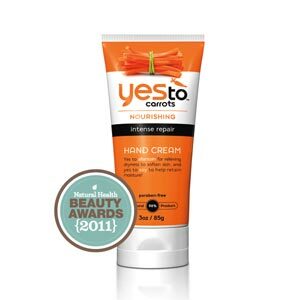 The Yes to Carrots hand cream sells for $8.99 and is free of nasty chemicals. 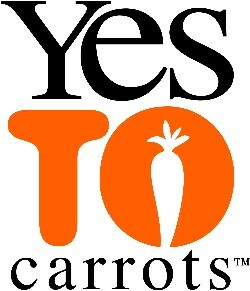 Overall, I am extremely impressed with Yes to Carrots. The fact that it is so affordable yet works great makes it a major plus for me. Yes to Carrots proves that a drug store brand can be cheap and work great!! I can't wait to see what they come up with next! Yes to Carrots is available at a drugstore near you!